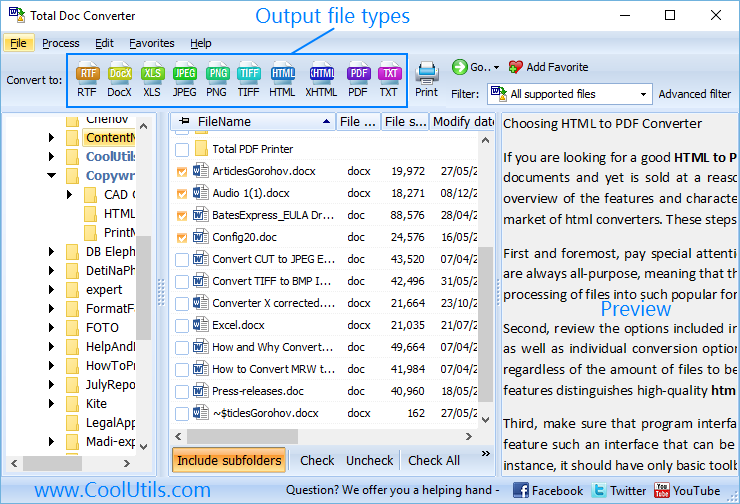 With the Total Doc Converter, turning your Word file into a PDF file just got a whole lot cooler! If you’re thinking “hey, my word processor already let’s me do that…” you’re correct -- somewhat. 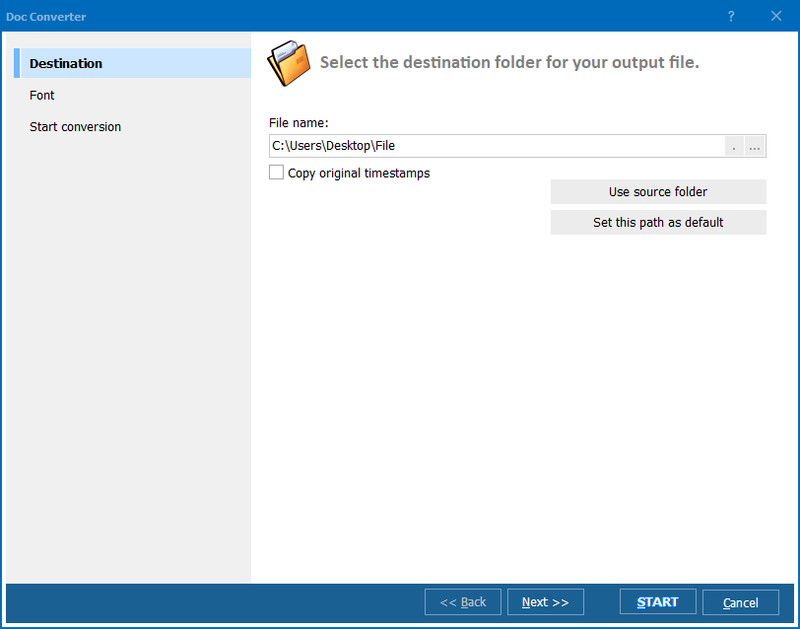 However, even though the option exists to save a Word as a PDF file, that’s where the options end. Here at CoolUtils’ we provide you with a wide range of visual customizations and security settings through our Total Doc Converter that you can use to control how your PDF looks, and who can access it. All is done in a batch mode, not one by one. Headers/Footers (i.e. a confidential note). Document Properties (Author, Creator, Keywords, Subject, Title, Search-ability). Compression Levels (Fastest, Normal, Maximum). Encryption (Owner Password, User Password). User Permissions (Copy, Annotate, Modify, Access, Print, Assemble and more). Add Certification (Certificate, Password, Location, Contact and more). Once everything is ready to go, you’ll receive an overview of all the different options that you’ve defined through the set up wizard. Simply look it over and if it appears ready, click the start button. 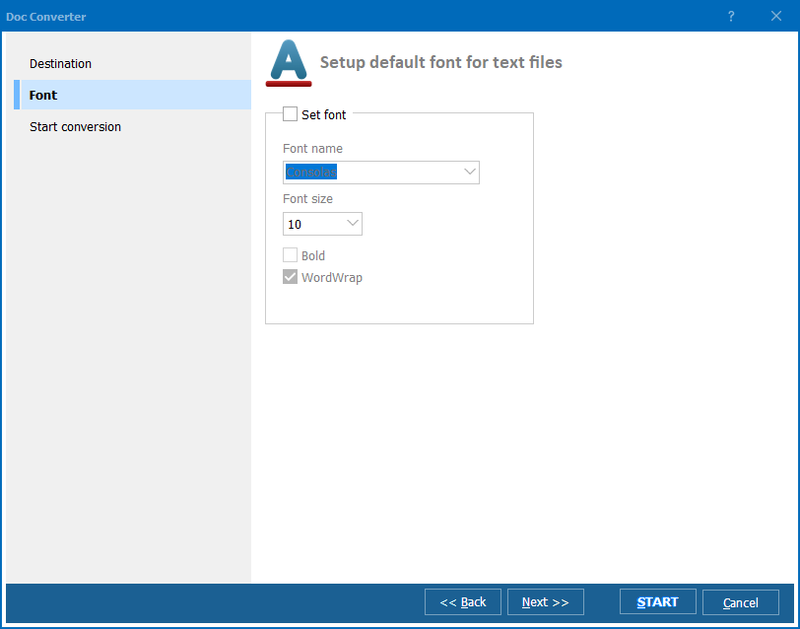 The Word to PDF Converter then performs all the work for you whether you’re creating a single document, or processing an entire batch worth of content. Did we mention that using our converter you can even access the command line directly? Here at CoolUtils, we’re proud of the fact that we design tools that not only save you time, but give you total control over your documents. Check out some of the other formats that our Total Doc Converter can export your Doc files into: RTF, XLS, JPEG, TIFF, HTML, XHTML, and TXT. 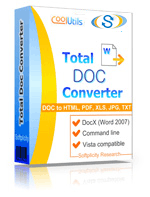 Don’t delay; give the Total Doc Converter a try today with our 30-day free trial! "We've been using the TotalDocConverter for a few years and just purchased the upgrade to X. It has been working very well for us and we are very satisfied with the product. We use it to convert our documents to PDF format. I will need to look through the documentation to see if there is anything else we could utilize it for."